When will be Car Wars next episode air date? Is Car Wars renewed or cancelled? Where to countdown Car Wars air dates? Is Car Wars worth watching? 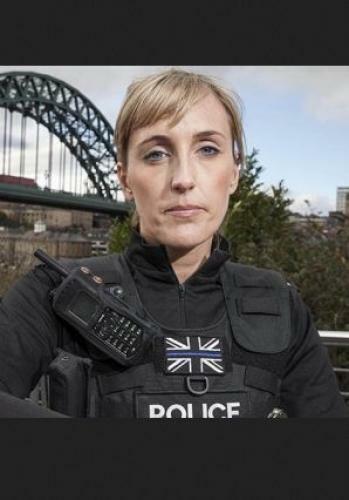 This three-part series for ITV focuses on the fast lane of policing, going behind the scenes with officers from Northumbria police tasked with cutting car crime.Featuring footage from the streets of big cities and the twisting lanes of the rural beat, cameras follow officers as they undertake everything from opportunistic collars to complex planned operations as part of the force's dedicated car crime unit Operation Dragoon.Buckling up with traffic officers, going into detail with forensics experts, this series explores how police go about catching criminals - and the lengths to which offenders go to avoid the long arm of the law. In the first episode, traffic cop John ‘Sandy' Sanderson and dog handler Sgt Julie Neve chase down a motorist who escapes officers' clutches at traffic lights, before roaring through an unfinished housing estate, abandoning his car and running off, hiding under a bridge. Sgt Julie's dog Bruce is sent in to sniff him out. After he is arrested, Sandy reflects on the danger of the situation. He says: "It is exciting and it is fun but as you get more experienced, what's also going through your head with the excitement is that you don't want to put anybody in danger. In particular members of the public, your colleagues - because you need to go home in one piece. You don't want to be going home in a box." After the previous night's chase, the officers from Operation Dragoon are sent in to gather evidence. Sgt Phil Patterson, who runs the operation, says they are getting results. He says: "We've had 31 years in prison terms over 18 months, we've had 111 years disqualification periods for dangerous drivers, we've had over 100 vehicles uplifted and crushed and we've had over 130 arrests." Watching helicopter footage of the chase, the officers see the driver power through a gate on the housing estate, which hits a security guard, leaving him with concussion. Sgt Phil says: "It's easy to get drawn into the obvious offences so dangerous driving, yeah, probably on the basis of what we've got. But that? I think there's assault in there. I think there's quite a serious assault. So my primary investigation is around the more severe offences… He's going to go to prison, the driver, for the offences I can see on the CCTV." As officers head to the building site to investigate, the clock is running down on the 24 hours they are allowed to keep the driver in custody after arrest, without charging him. Pc Derek Longstaff, meanwhile, has been called to the scene of a potential hit-and-run where two pensioners have been hit by a van, but there is no sign of the vehicle or driver. And dog sergeant Julie is called on to used both her canine companion Bruce and her CS spray after a small crash turns more serious. In the second episode, Dragoon officer Steve is forced to take drastic action as he tackles a dangerous driver near Newcastle. Traffic cop Sandy proves he's as fast on his feet as he is behind the wheel when he tackles a driver who makes a run for it. And it's a sad day for dog sergeant Julie as her spaniel Cracker's put to work to sniff out drugs in his last ever shift before retirement. Boy racers, dangerous drivers and insurance dodgers are all in the sights of Dragoon - Northumbria police's crack unit of detectives on wheels battling car crime. Car Wars next episode air date provides TVMaze for you. EpisoDate.com is your TV show guide to Countdown Car Wars Episode Air Dates and to stay in touch with Car Wars next episode Air Date and your others favorite TV Shows. Add the shows you like to a "Watchlist" and let the site take it from there.